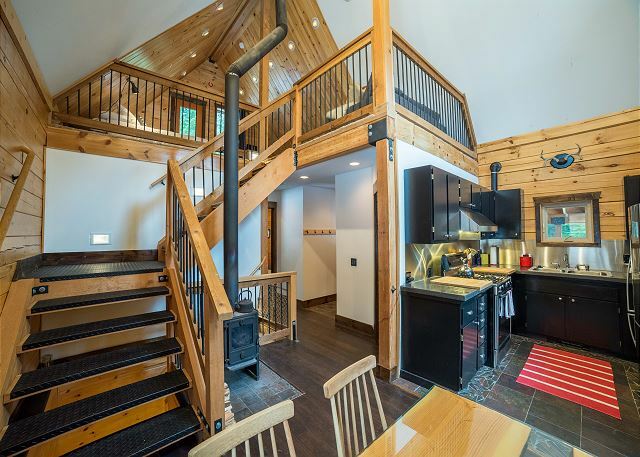 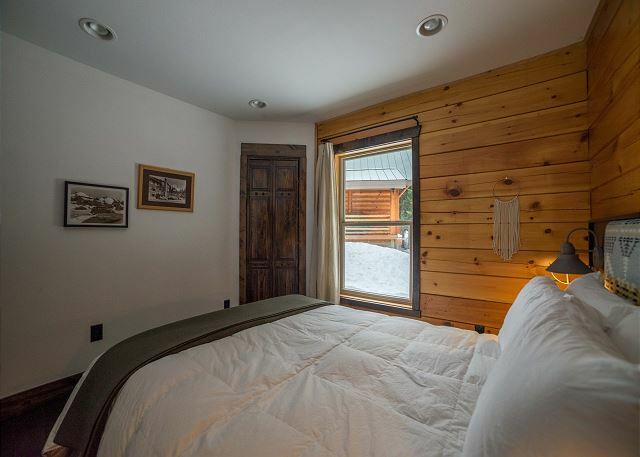 Located in the charming village of Government Camp, a small ski-town on Mt. 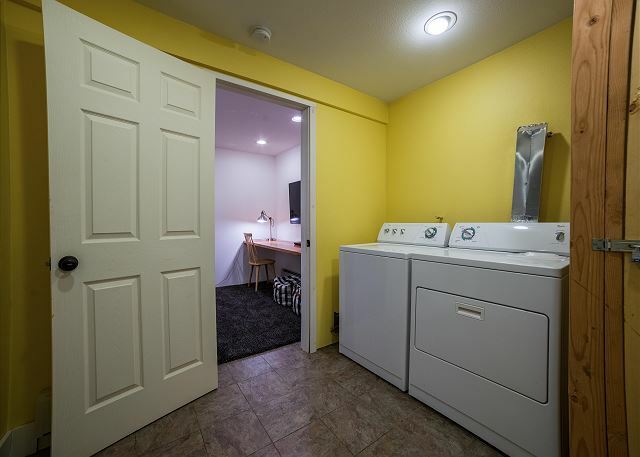 Hood, you’re close to all the amenities and outdoor activities. 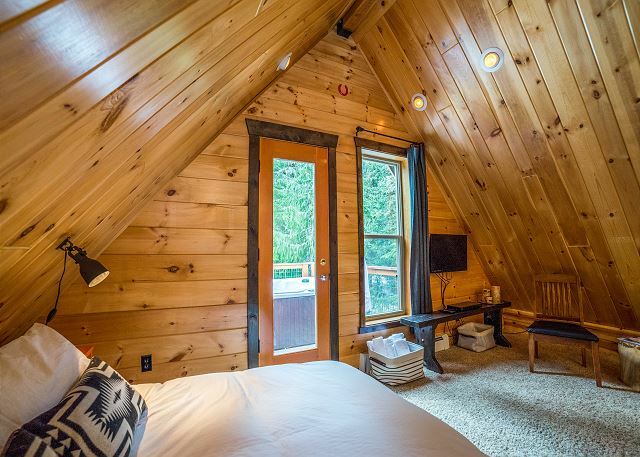 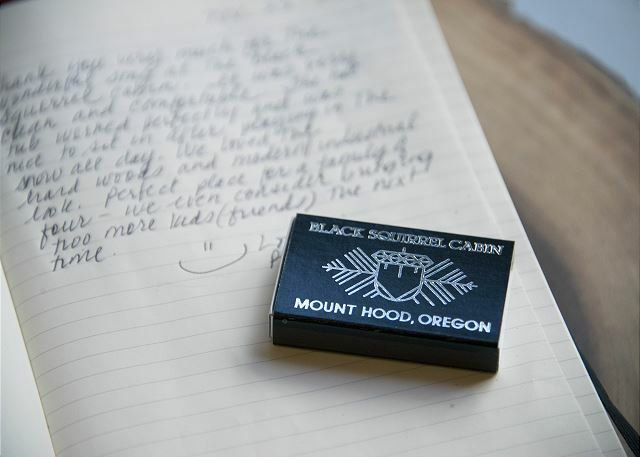 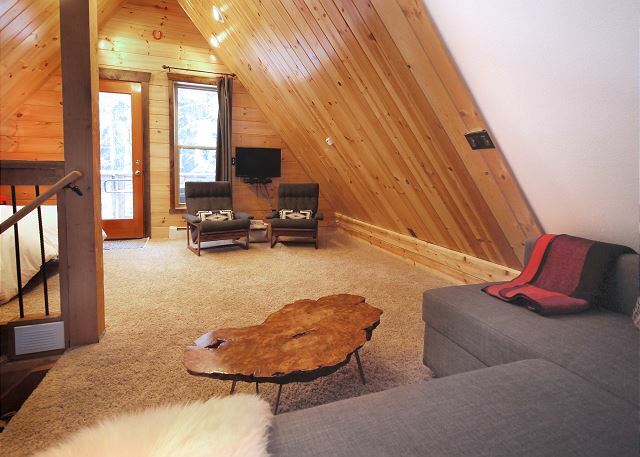 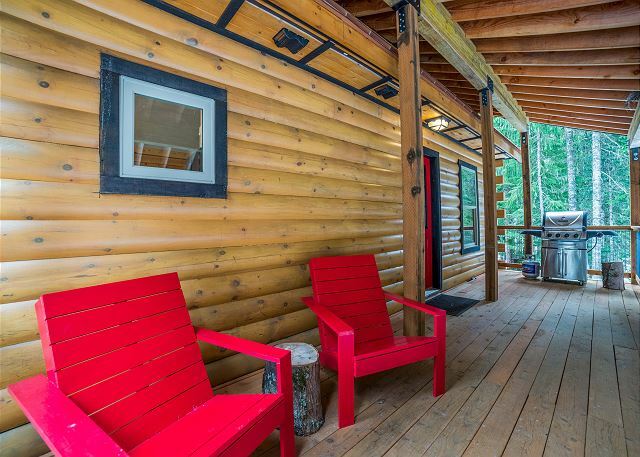 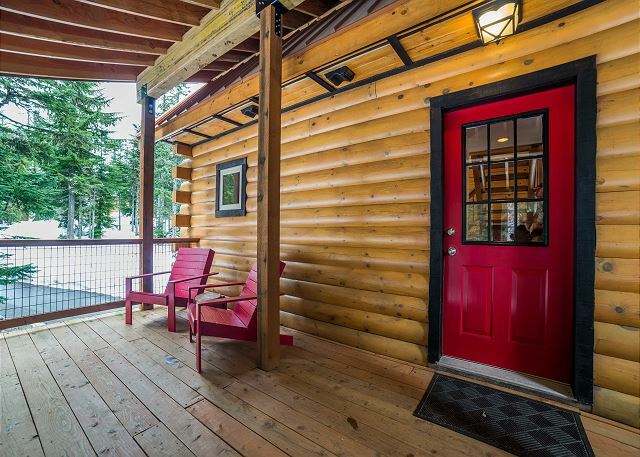 The cabin sits on a quiet wooded lot across the road from Summit and minutes from Skibowl, Timberline Lodge and Mt. 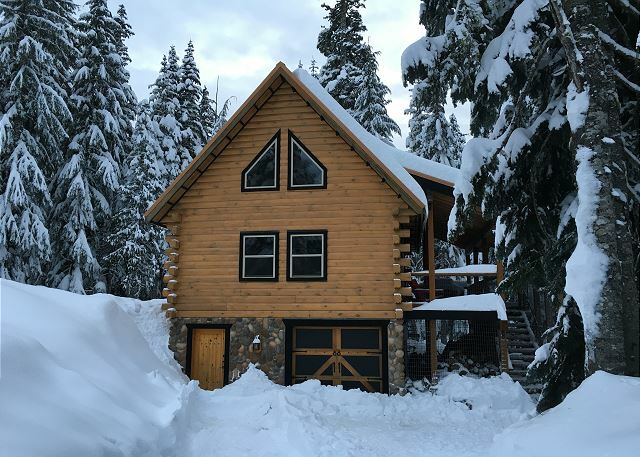 Hood Meadows - all just 58 miles from Portland. 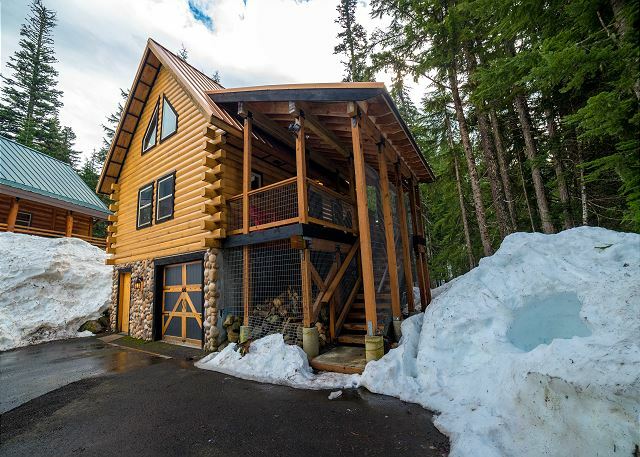 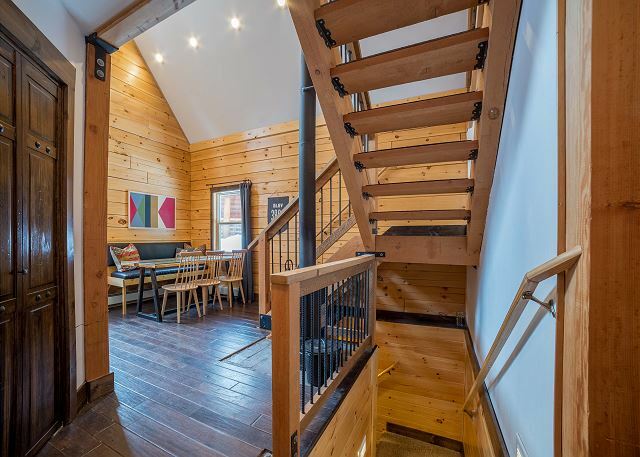 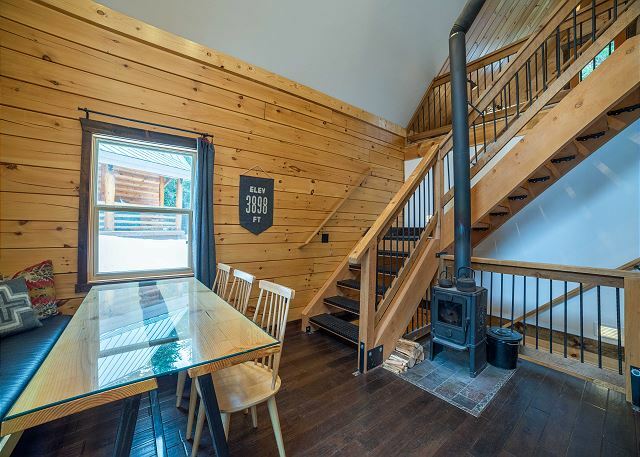 With exposed log walls, vaulted ceilings, and northwest-themed decor throughout – this home has the feel of an alpine lodge while being the perfect size for small groups. 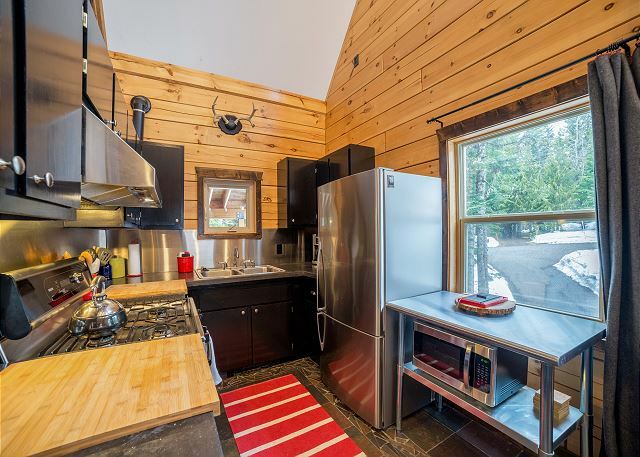 A custom made banquet and dining table provide a place for guests to hangout and build a fire while meals are prepared. 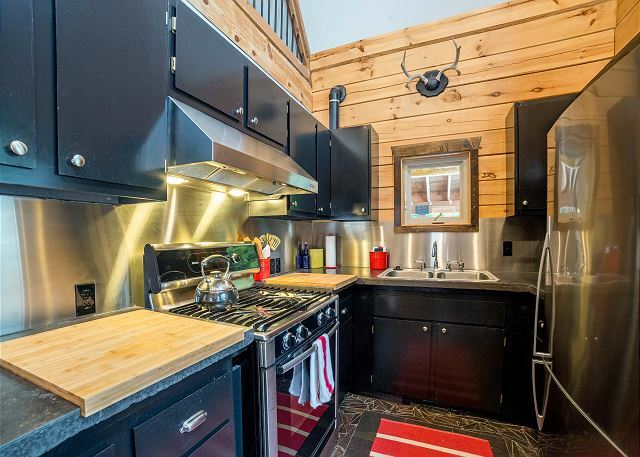 The kitchen is well-stocked with new appliances and finishes. 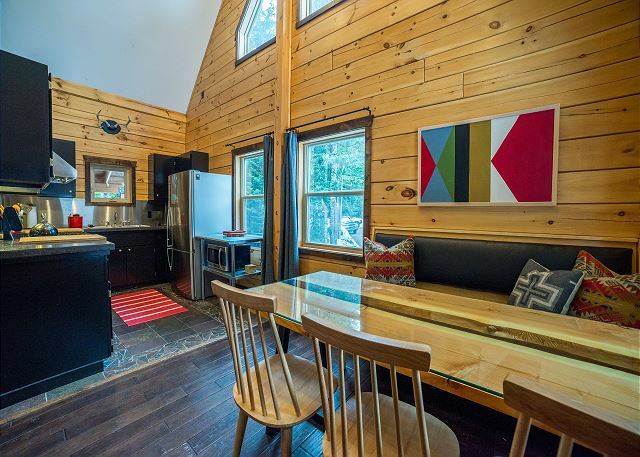 There's a coffeemaker and french press so coffee lovers can pack light. 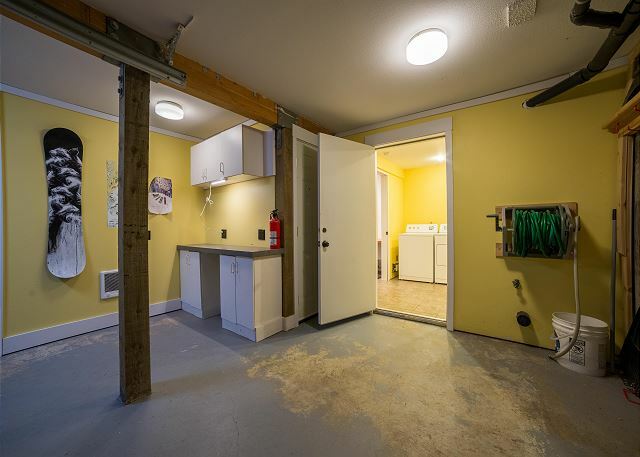 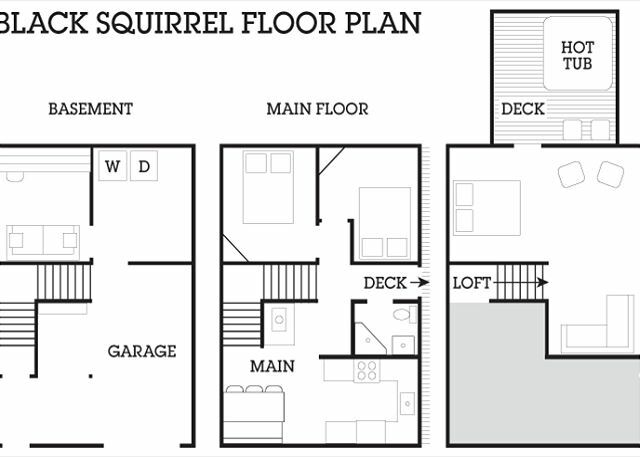 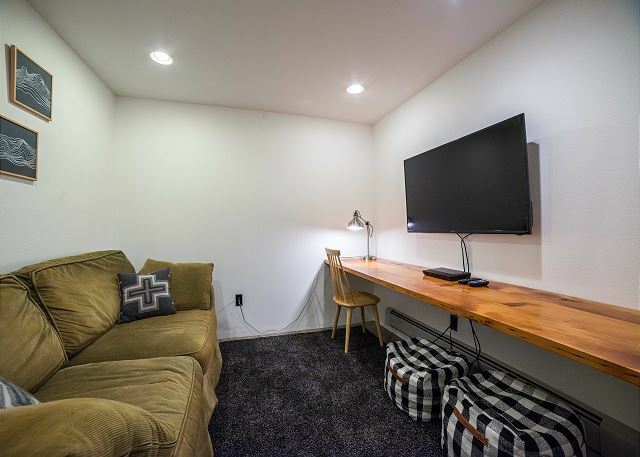 There are two sofa and TV zones, one located in the loft overlooking the kitchen and dining area, and a more secluded option below in the basement. 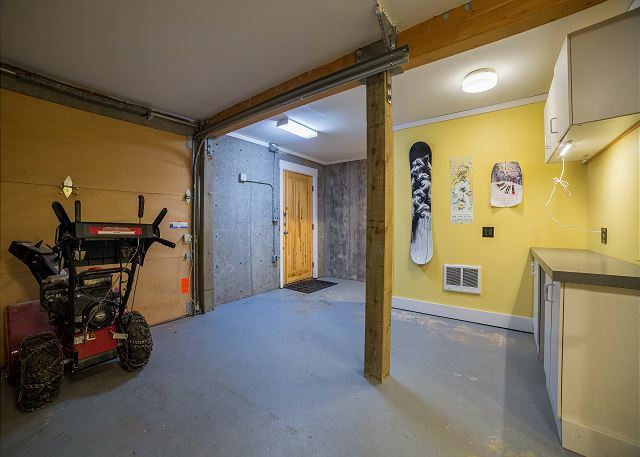 The entry on that level provides an easy way in groceries and a secure spot for your adventure gear. 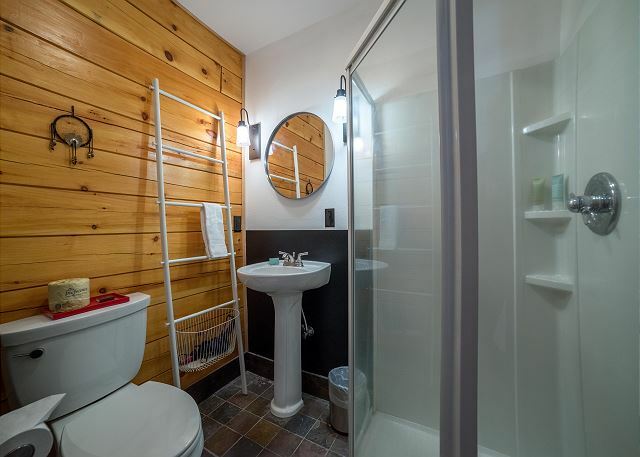 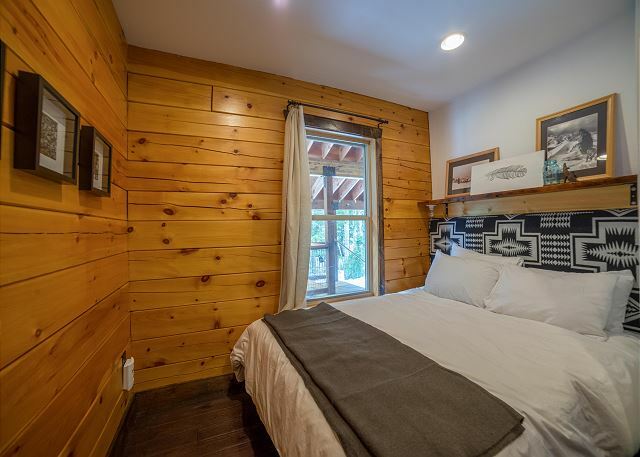 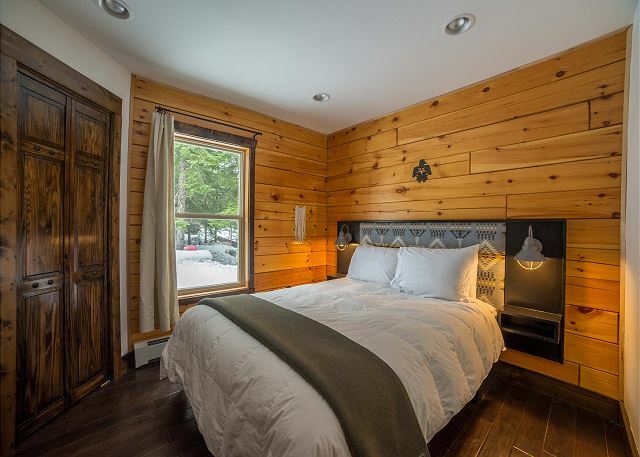 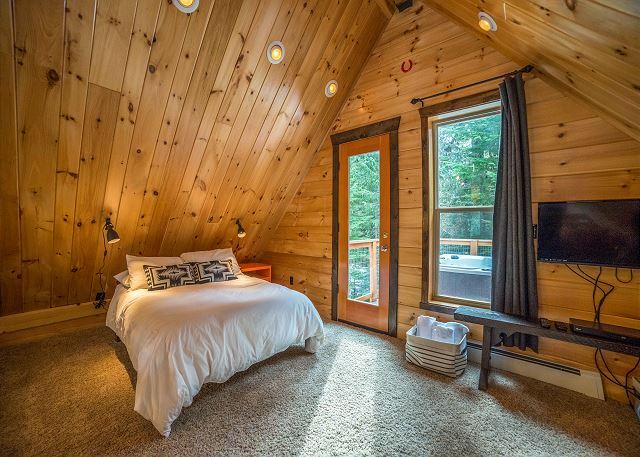 There are two bedrooms on the main floor that have queen beds with hand-made headboards crafted by the owners of the cabin - both have lighting and one headboard even has outlets built in. 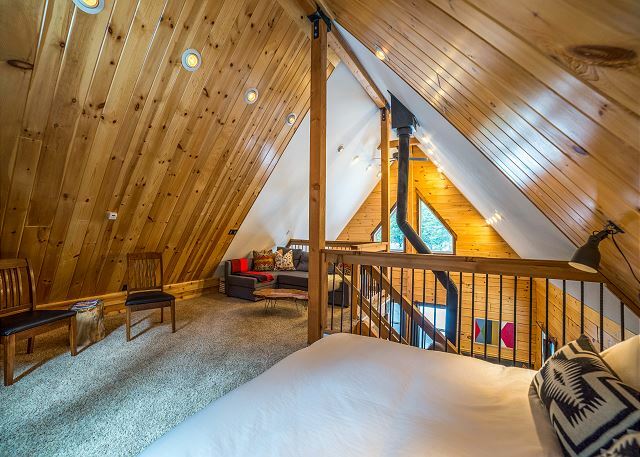 Another double bed in the loft has a bit less privacy, but makes up for it with proximity to the hot tub and the loft TV. 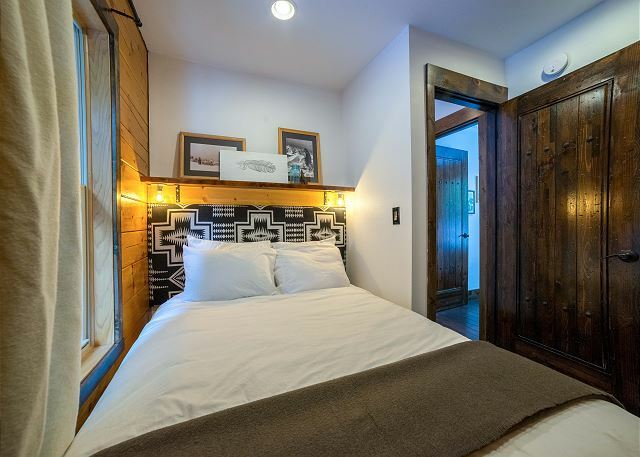 Between the three beds, there is room for six guests. 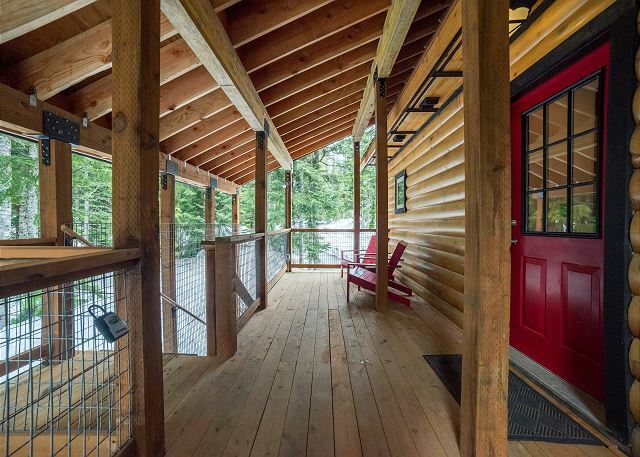 The side porch is a great spot to hang and light up the gas grill. 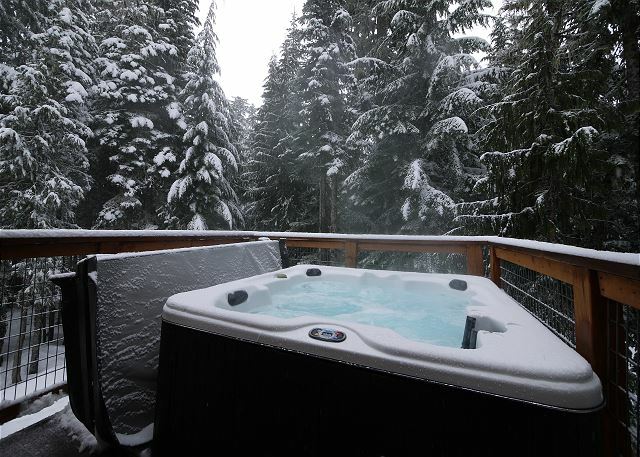 On a clear day, enjoy a hot cocoa in the the custom modern Adirondack chairs and the peak-a-boo view of mountain top. 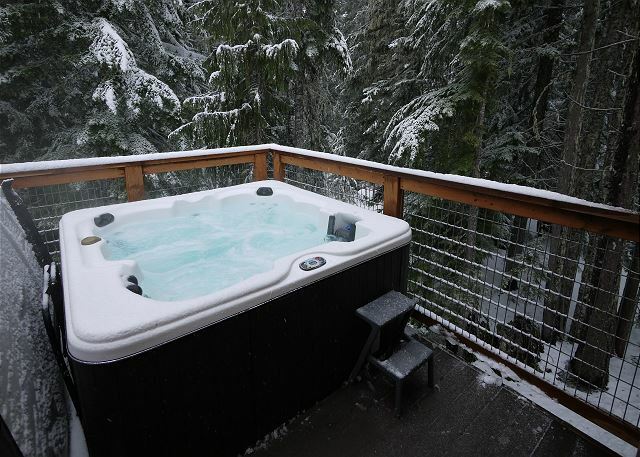 When the stars come out, have a soak in the hot tub and enjoy the view from the balcony off the loft.